And Idk enough about Ace attorney to know what you guys are talking about. Those tracks are from a game that was released in Japan but not the West. It received a fan translation patch that is fairly well-known. 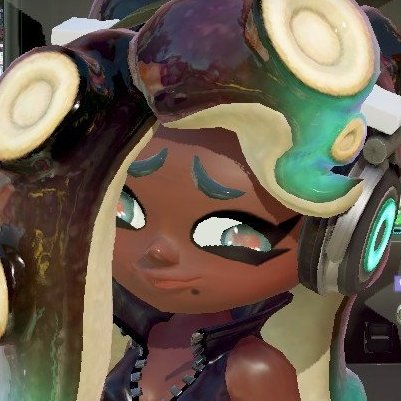 I wasn't sure whether to use the character's Japanese name or English name (bc English-speaking site) and so I used the fan English name and when I inquired about it during the update process the updater was just like "lol whatever we'll worry about that later". In this version, I have simplified the L.H., reduced everything to one page, erased an arranger's suggestion that incorrectly "fixed" a rhythm in the last measure (which wasn't addressed by any updaters), and returned the octaves to their proper positions, giving the performer the option to play an octave lower, or to simply play it like it's supposed to be. I would appreciate it if these files were considered for replacement. Thank you. For Final Fantasy games before 2003, what should the proper Copyright be? Because looking at several sheets, there is no consistency. "Words Drowned by Fireworks" (FF7) uses Square Enix, "Dancing Mad" (FF6) uses Squaresoft, and "Calm Before the Storm" (FF10) uses Square. Squaresoft and Enix merged into Square Enix in 2003, so everything then and beyond makes sense. Just wondering about beforehand, what the standard should be. I'm thinking Squaresoft? Good question. 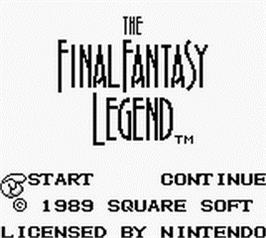 My most recent sheet to be accepted was a Final Fantasy sheet; I used "Square" in the copyright info, based on what Wikipedia had cited, but no one bothered to point out to me that "Square Soft" was used on the title screen. If there is some other way of determining this, I'm sure some other updater will speak up here. My suspicion is that things like these haven't been given enough attention. In measure 8, the e of 1 and 3 (I think that's what it's called? 1e+a 2e+a... ?) should be a Bb instead of a G.
This sheet (Hamtaro: Ham-Hams Unite! - I'm Your Ham) is very, very inaccurate. This was one of the very first arrangements I did. In the early days, I was very bad at hearing harmonies and anything that wasn't either the bass or the highest melody. I was also unfamiliar with the way in which the GBC treated tracks and therefore didn't have either the ear-power or knowledge of the GBC track system that would allow me to understand how this piece was composed on a more technical level. I also didn't yet use slowdown tech to be able to lengthen pitches and hear them better; instead I was transcribing from... Well, I'm not sure what I was transcribing from, because I hadn't yet uploaded the soundtrack OSTs. I think it was just a video of the game credits that I was working from. The result was a transcription of this piece that only included the main melody and (what must have been) a ~90% accurate bass line. Seeing that my transcription was incomplete due to missing harmonies, someone - I think it was an updater - but I don't remember for sure, and I don't want to go back and check because there's no need to drag them through the mud - fixed it by adding harmonies. This fixed version was the sheet that was submitted and must have eventually ended up on site. Even if changes were made during the submission process - which I highly doubt since I didn't have Finale 2014 at the time - regardless, what I linked above is what ended up on site. It's wrong. See below for a complete list. -The RH chromatic line should be C-C#-D-E.
-It should also be an octave higher. -The bass should be an octave lower. -There should be a D on the last eighth of the measure in the bass. -The RH F should be harmonized with an A rather than a D. As is it implies Dm/F in FM. That's very wrong. -The following C and D should be harmonized with B. -RH should be an octave higher. -The bottom line of the bass should be as follows: C(3)-Db-Dn-Eb-En-Eb-D-C#. The top line is correct, although it should probably be written with enharmonics to create a series of consistent 3rds with the bottom line. In practice all this requires is Ab->G#. -This is a GBC soundtrack. As a result, 4 pitches cannot be played simultaneously, as this transcription suggests is the case in this measure. Even if one were to take a little arranger's liberty to create some nice harmonies, RH C would probably be harmonized with E rather than A. -First three pitches of bass should be C3. -RH C should be harmonized with E and not A, analogous to the implied harmony of m. 2. -The penultimate G should be harmonized with C a la the first G.
-The ultimate A should be harmonized with F a la the other Fs. -The top line is correct. The harmonization should read as follows: D D D F Bb D C Bb. -The whole first half of the measure as transcribed in the bass doesn't exist. I listened very, very carefully. It should just be a rest. Starting at this part, we decided to take out the sixteenth figures back during the arrangement process because they were difficult to play and obfuscated the true melody (c.f. how much more obvious it is in the song's remake; c.f. the lack of sixteenth figures in Gavst3r's arrangement of said remix). That was probably smart and I agree with it. -That said, though, obviously if the sixteenth figures exist, the octave doubling can't. The correct octave is the high one. -The first eighth rest should be replaced with a D eighth note that follows from the A-A-Bb-C figure that should be present in the preceding measure (described above). -The low bass line is correct. Its doubling an octave higher, indicated to be played with RH, is not. Instead, the RH should be playing A(4)-Bb-Bn-C.
Apart from aforementioned octave doubling this is fine. Again, the RH doubling of the bass should not exist. RH should instead play A(4)-Bb-A-C-Bn-Bb-A. -The bass is also wrong. Should be, from the beginning, F-F-Gb-F-Ab-Gn-Gb-F.
Apart from aforementioned octave doubling these are fine. -The top line of the melody is correct. However, it should not be doubled at the octave. It should be harmonized with Bn-Bn-Bn-D-Bn-Bn-Bn-D.
-The top line is correct. Should be harmonized with Bn-A-G-F-E.
Again, a 16th figure exists that has been removed from this arrangement, fine. Obviously this means the original track doesn't have the harmonies at the 6th below the melody. They work fine for the purposes of this arrangement, but honestly the E-F movement sounds a bit strange to my ears, so this might be better as a doubling at the octave or something. -Strictly speaking every pitch of the RH is harmonized with an E5. Obviously, though, that is too much of a stretch for the RH alone to play. Just pointing it out for completion's sake. -First three pitches of the bass should be C3. -The harmonization of the RH melody proceeds as follows: E(5) for the first 3 pitches, then C5-Bn5[jump of M7 upp]-Bb5. Below are mus, mid, pdf that contain all these corrections. The only exception is that I left in octave doublings in 13-18 and 28-29 to make up for the lack of the 16th figures. M. 30 contains an E6 harmonization, one octave higher than it should be. Reason I'm posting this here is because I feel like it should be all right to just go ahead and replace the on-site files with these. I know I'm not going through the submission process proper, but I have changed literally nothing about the formatting (aside from measure distribution in the first 4 systems, to make up for the newly introduced many accidentals in m. 2) in this - just some notes. And I know they're correct because I literally just retranscribed the entire piece, because I've been posting them on YouTube, because I've been going over literally every one with a fine-toothed comb. I hope this is enough to let you trust my ear and fix it based on my word. I feel like I have too many of my own older, outdated sheets and too little time to update them properly. Props to you, Altissimo. I think I fixed that when I reuploaded that one a while ago. There's a cresc. in measure 9, did you want a hairpin crescendo here instead? You don't need both. As for the lines, m. 17 indicates a hand moving between staves, as opposed to only the voice moving between staves in m. 9. I don't have a ton of background on this particular company, only really know what's on the Wikipedia page. Probably someone who knows more about the FF series can weigh in (Maelstrom?). I have brought up the idea of standardizing the copyrights some time ago, but it hasn't happened quite yet. Yep this is just fine. Thanks for fixing it. I've uploaded those files. tl;dr - Final Fantasy 1 released in NA 3 years after its original Japanese launch date, and FF 2, 3 & 5 didn't get localized at all. I also have no idea how many of them actually got released in Europe; possibly none. Also, Wikipedia lists the developers as Square, even though the company is called Squaresoft? And then later merged to form Square Enix? Yeah, some weird stuff going on there. Also, I'd definitely like to talk with you sometime about standardizing copyrights - I've got some ideas I'd like to share.